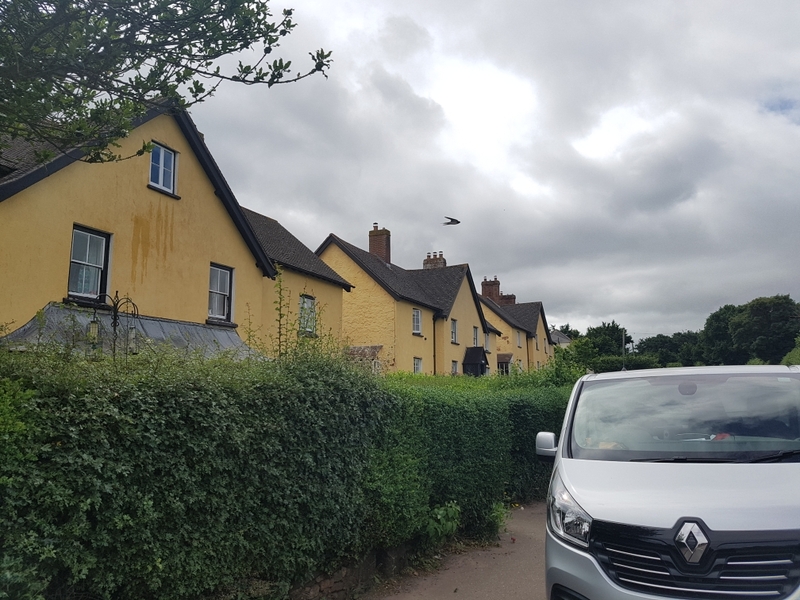 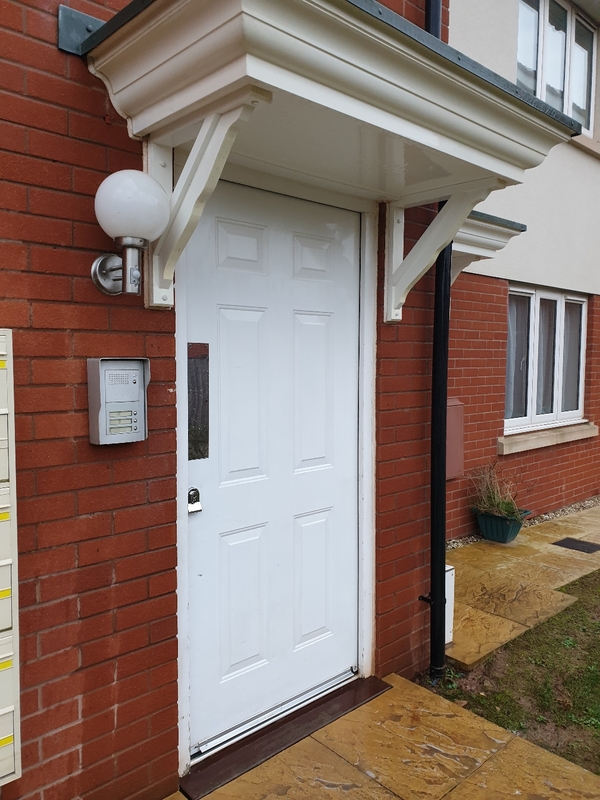 Residential window cleaning including the glass, frames, sills and doors. 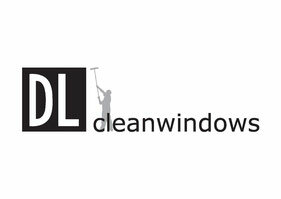 Our business is established on Window Cleaning, cleaning our first window in 2013. 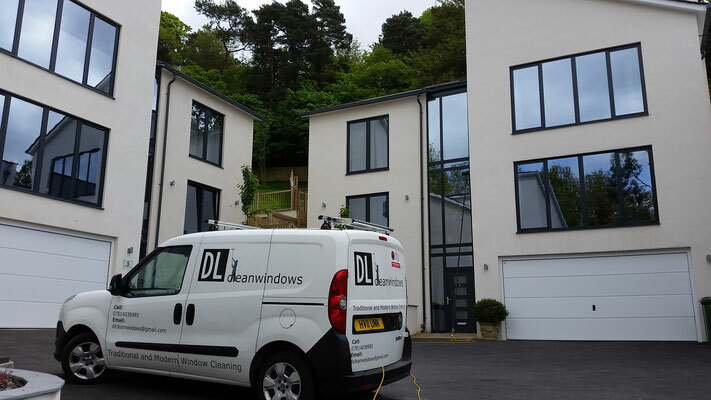 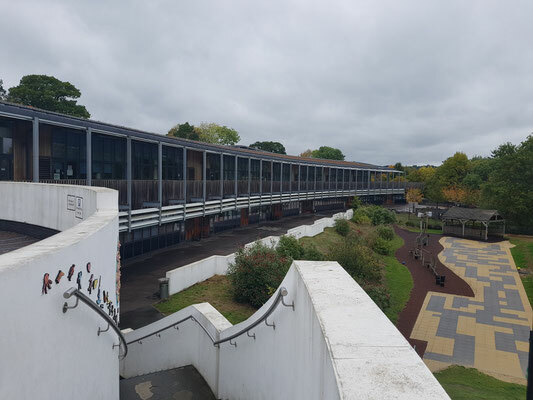 We always clean the glass, frames and sills every time and our quotes include this as standard. 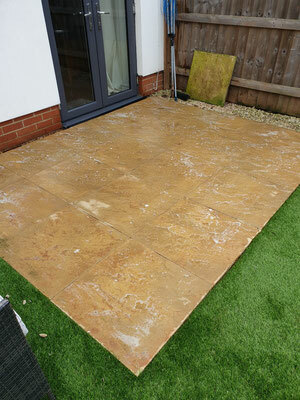 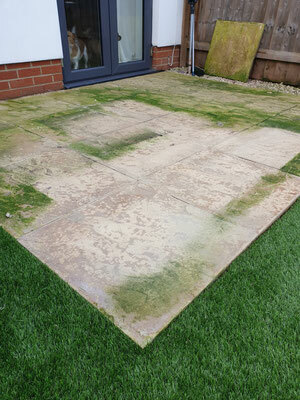 100% satisfaction guarantee, just get in touch on the same or next day as your clean and we will return to re-clean. 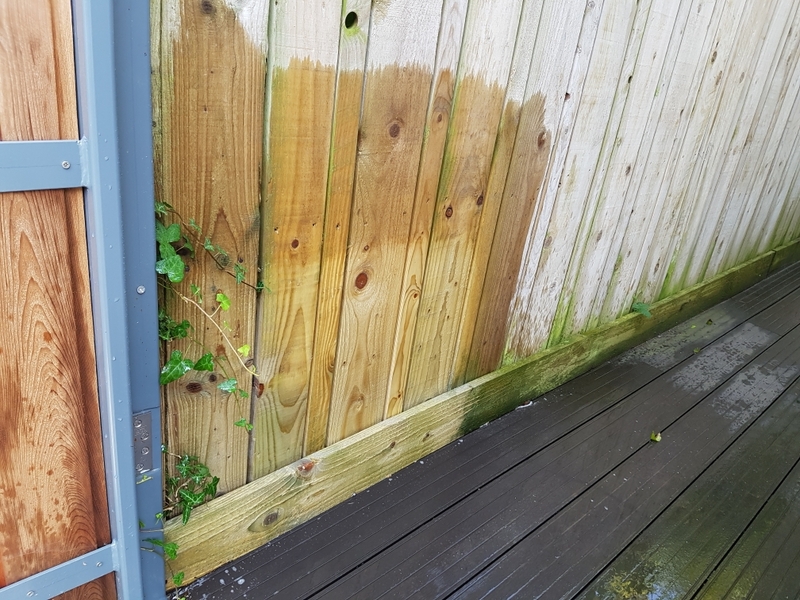 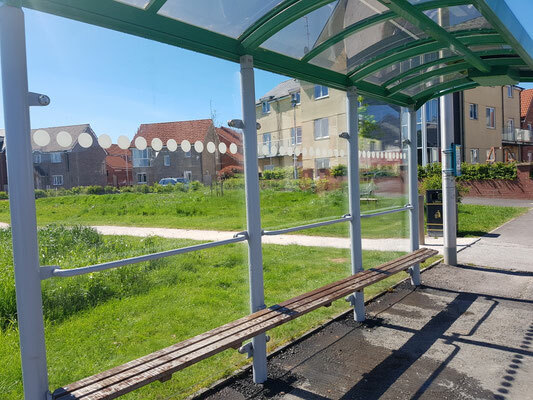 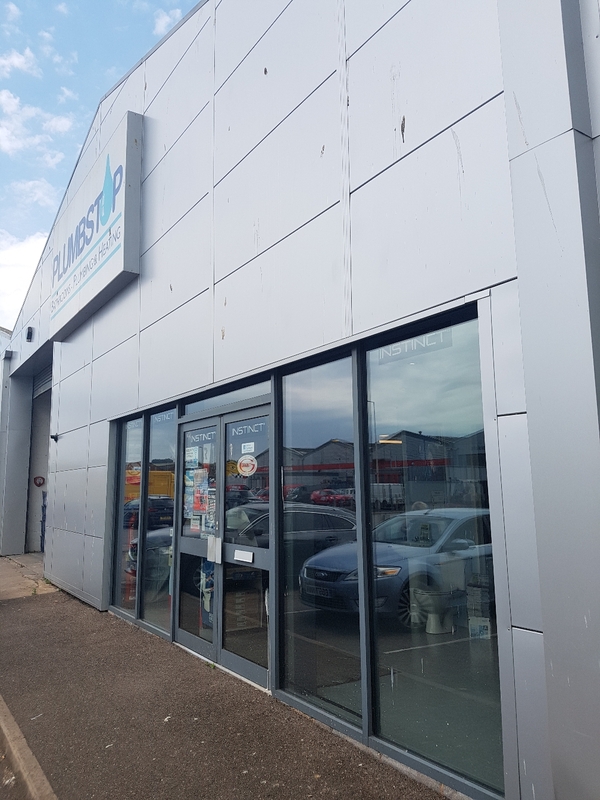 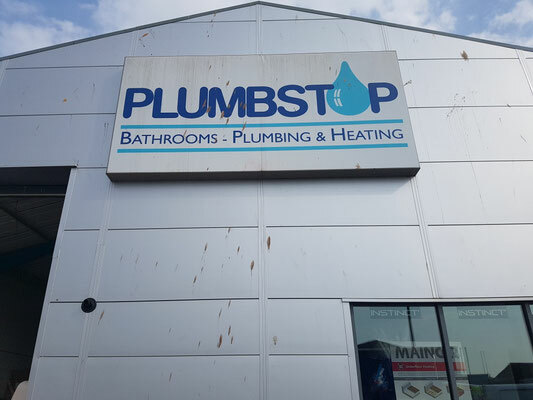 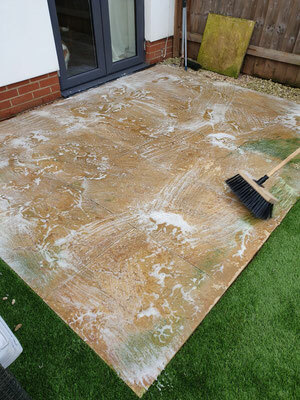 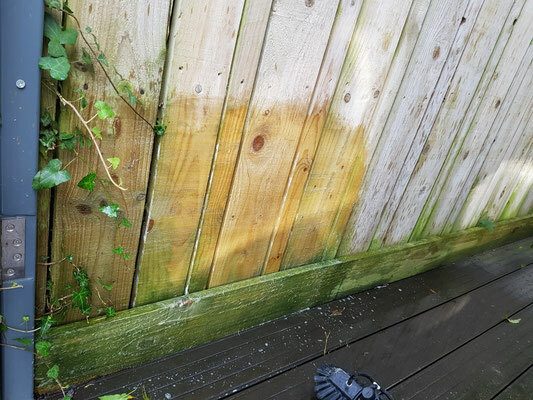 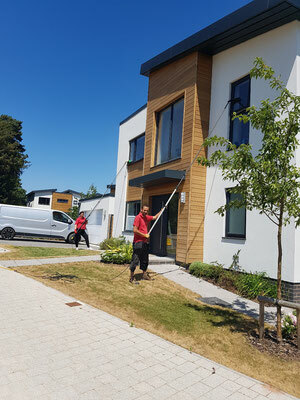 We use the cleaning method best suited to the task at hand, using traditional mop and squeegee and modern water fed poles. 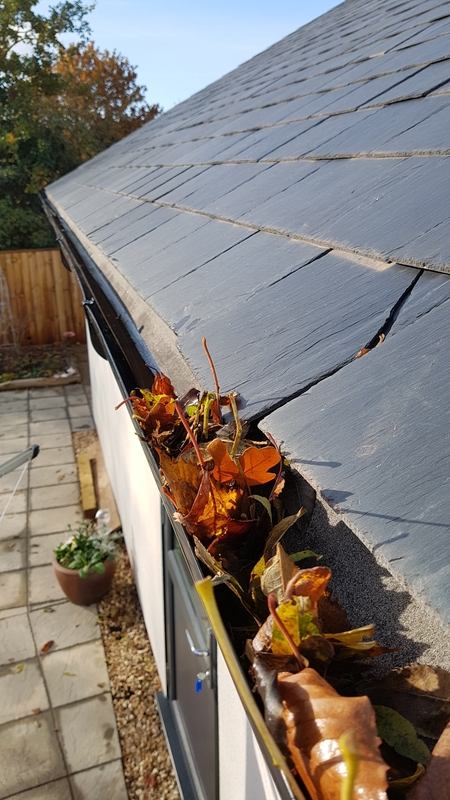 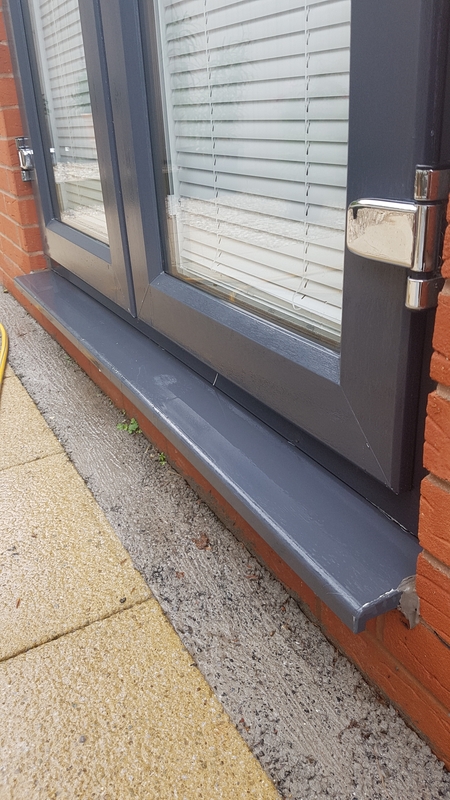 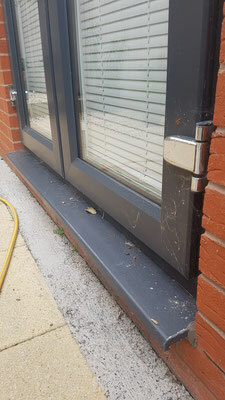 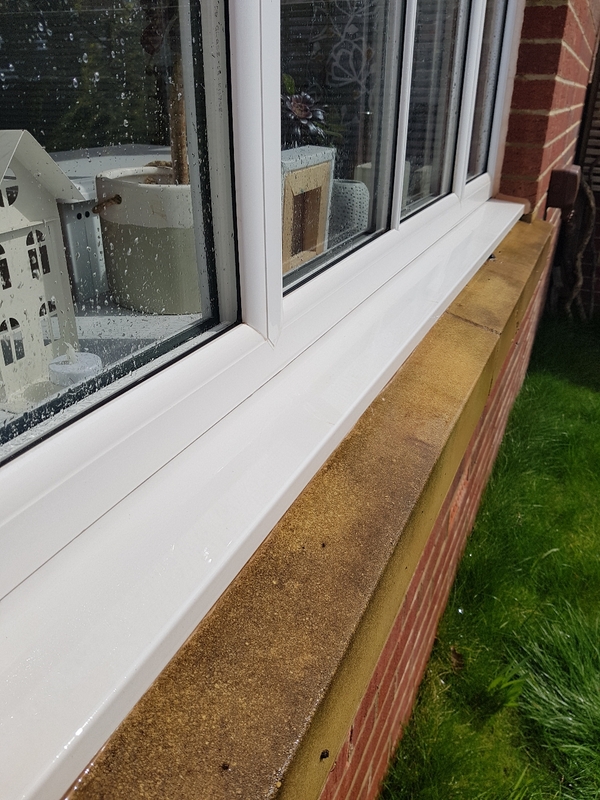 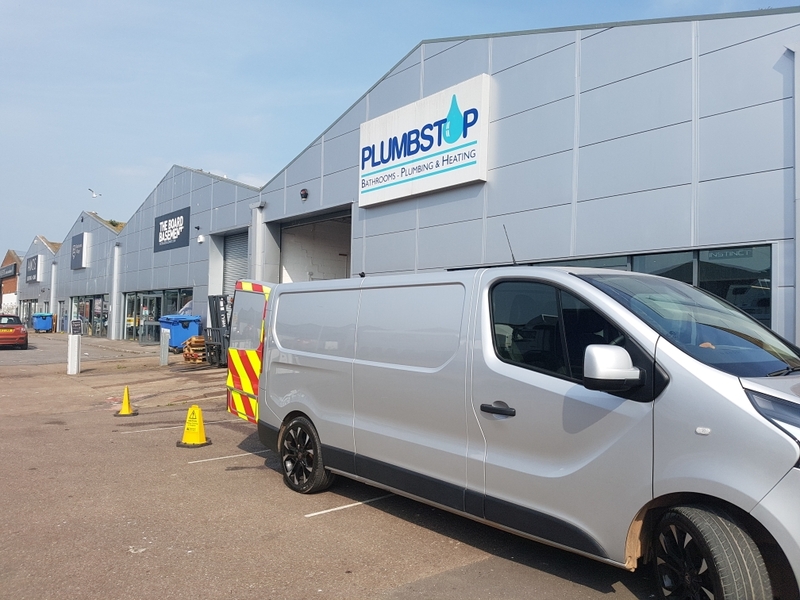 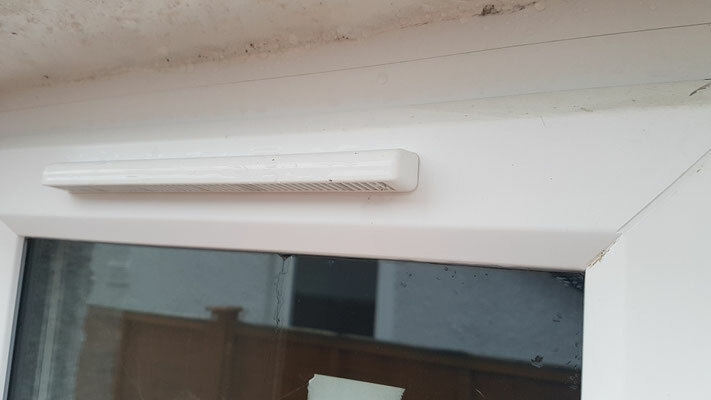 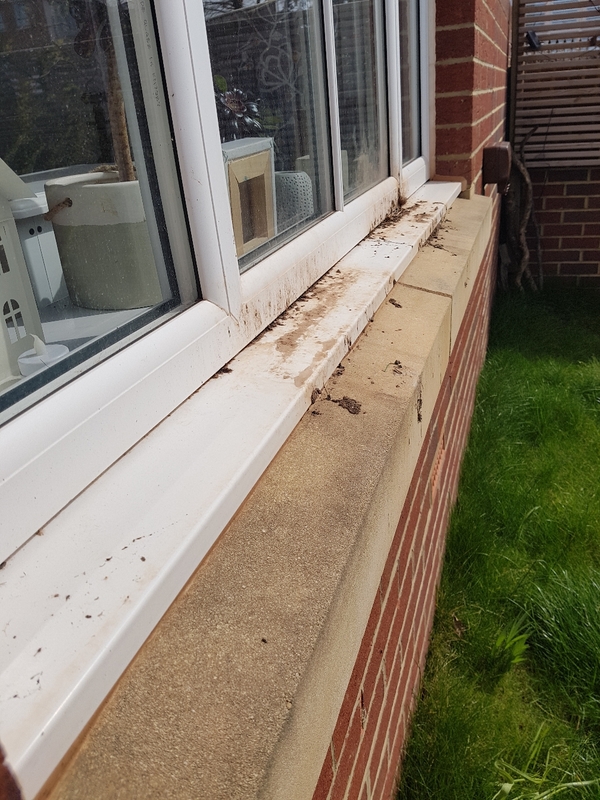 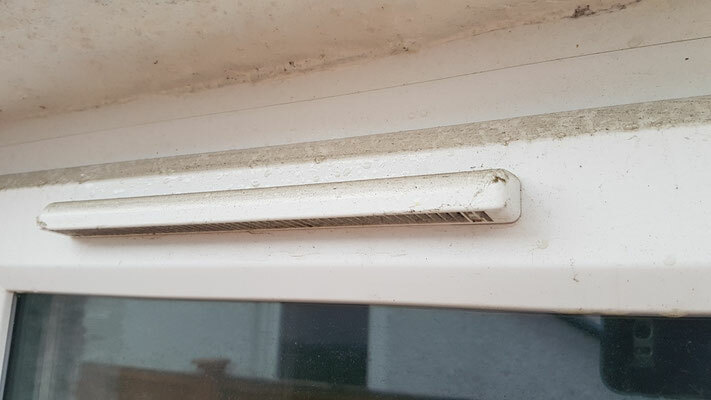 Our standard practice is to use modern water fed pole methods on all exterior residential pvcu windows, and any windows above ground level. 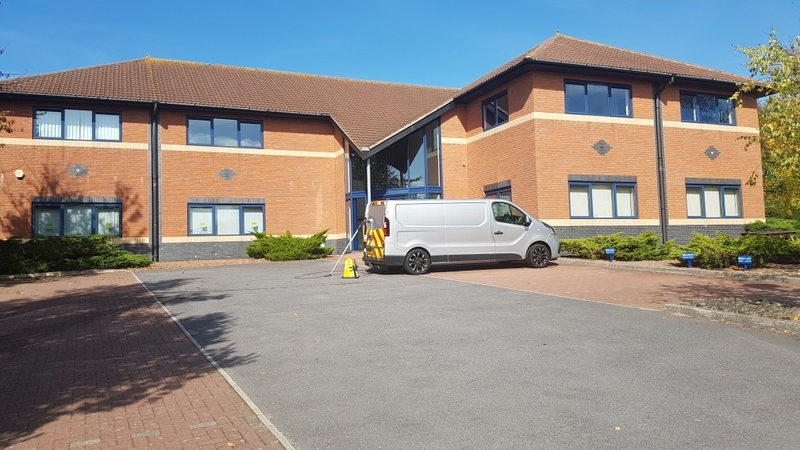 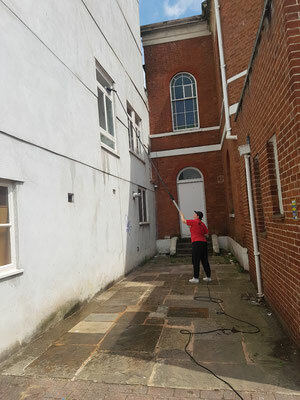 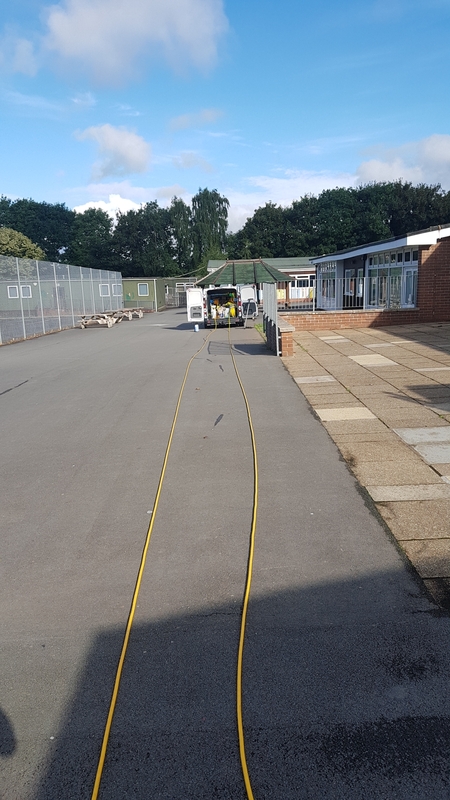 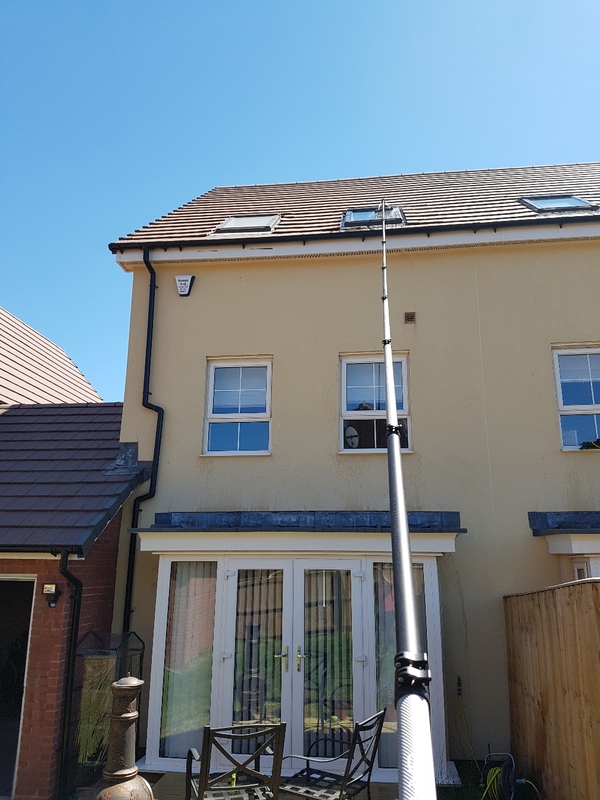 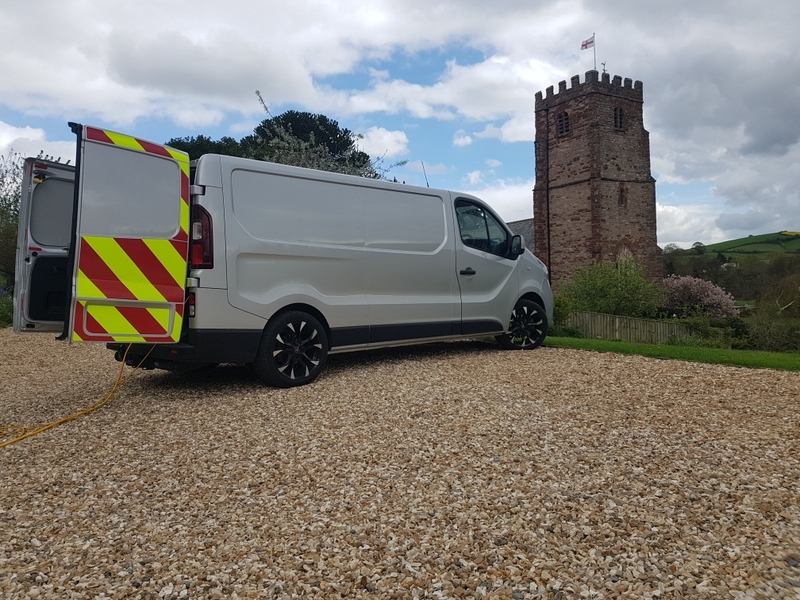 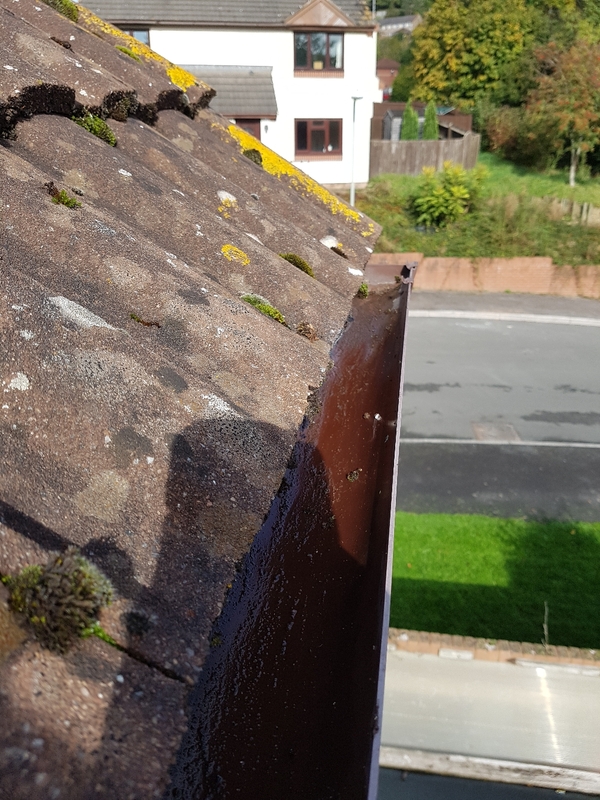 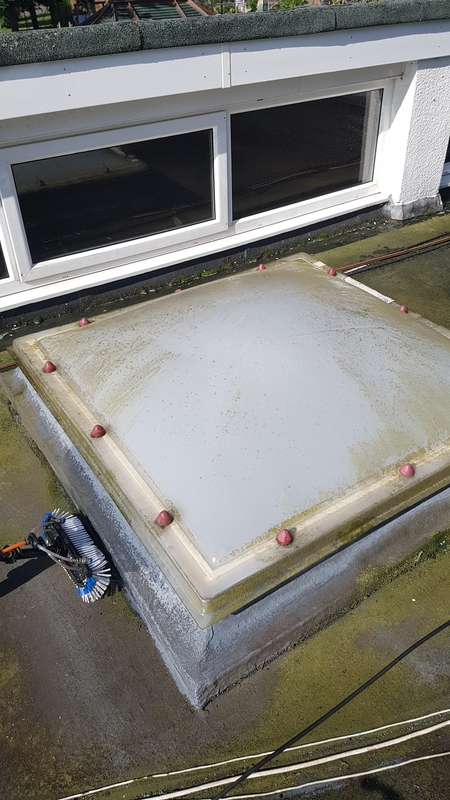 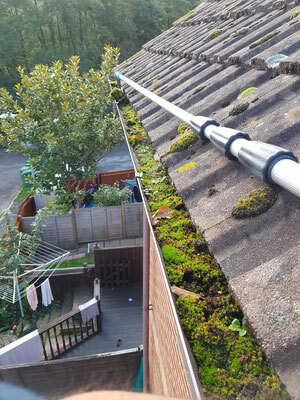 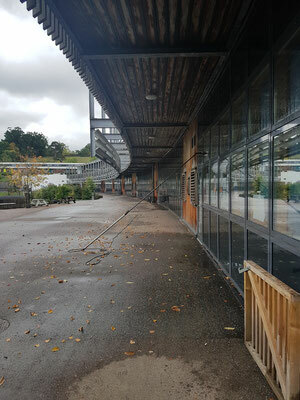 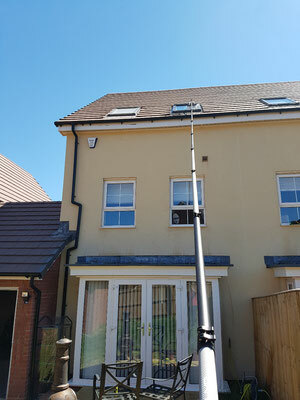 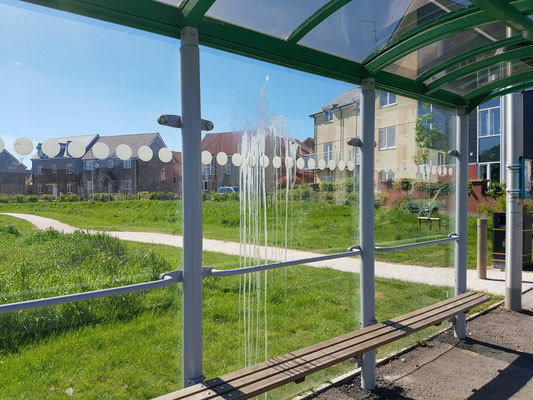 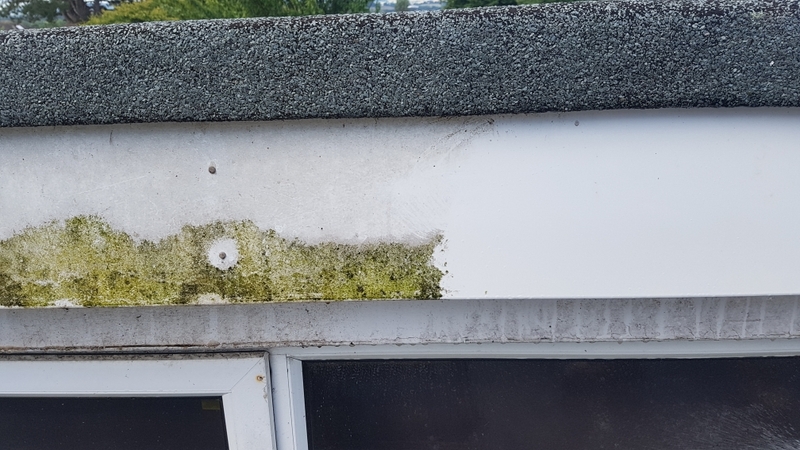 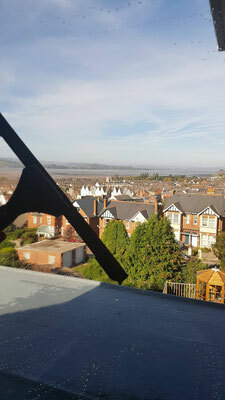 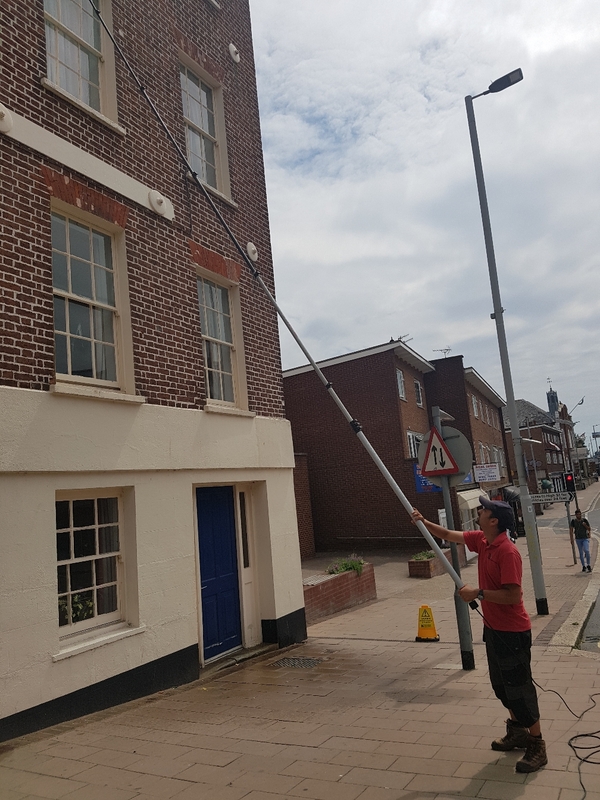 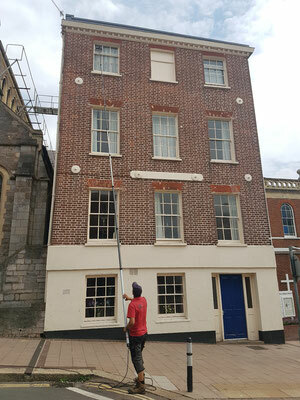 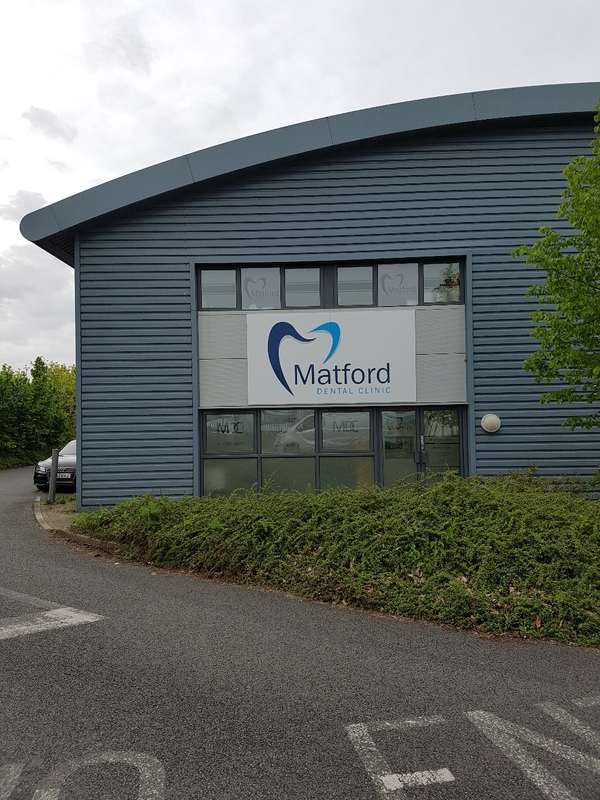 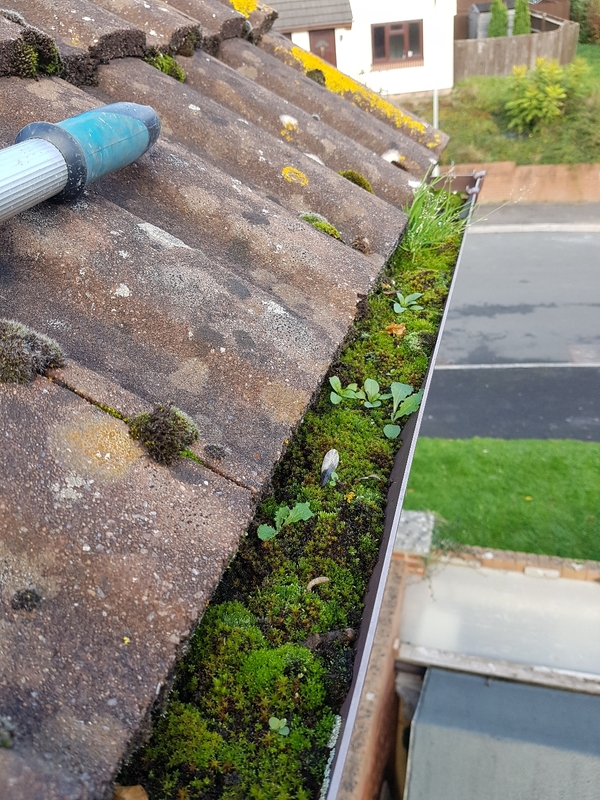 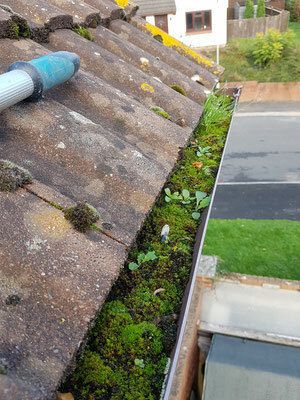 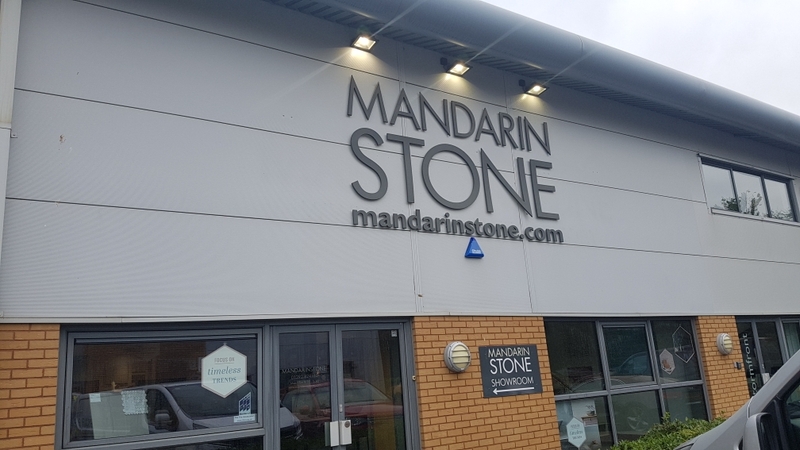 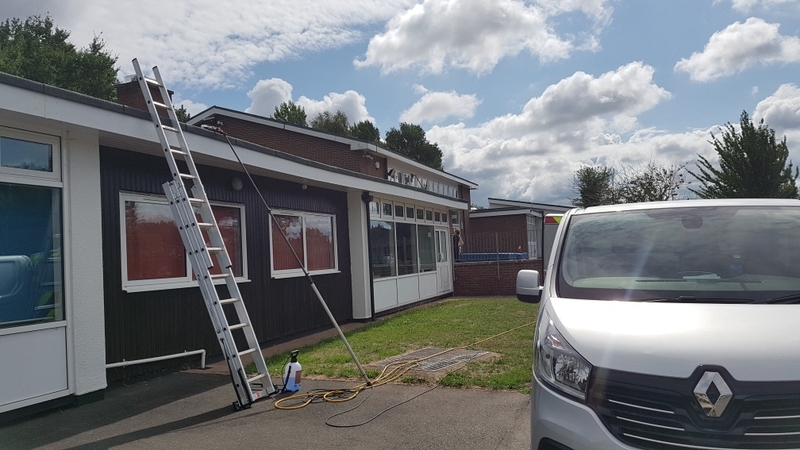 Health and safety legislation does not out right ban the use of ladders, but as water fed pole window cleaning offers the same or superior results from the safety of the ground, it is now considered standard practice, especially for commercial customers adhering to H&S and risk assessments. 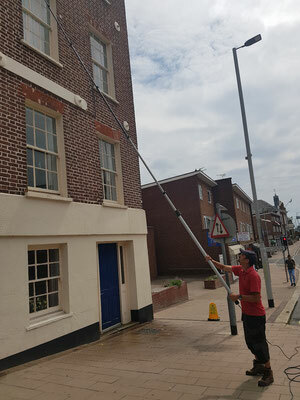 For further information and explanation of water fed pole window cleaning please see our pure water guide. We also clean BT phone boxes. 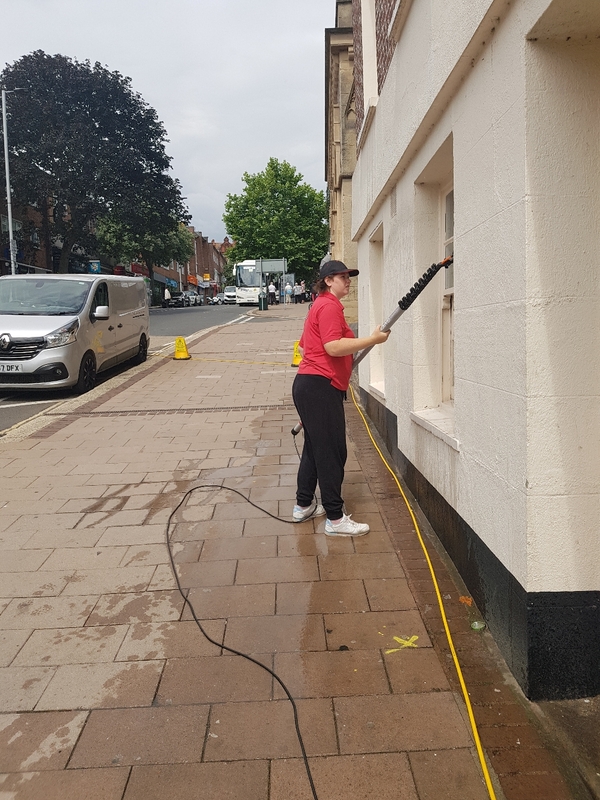 We clean the glass and disinfecting the handset and floor. 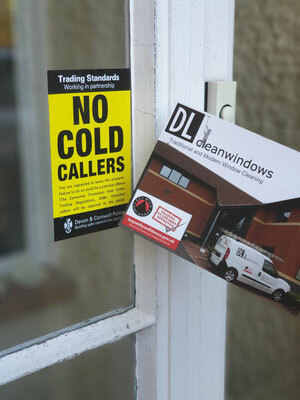 We are a member of the BuyWithConfidence scheme which is run by trading standards. 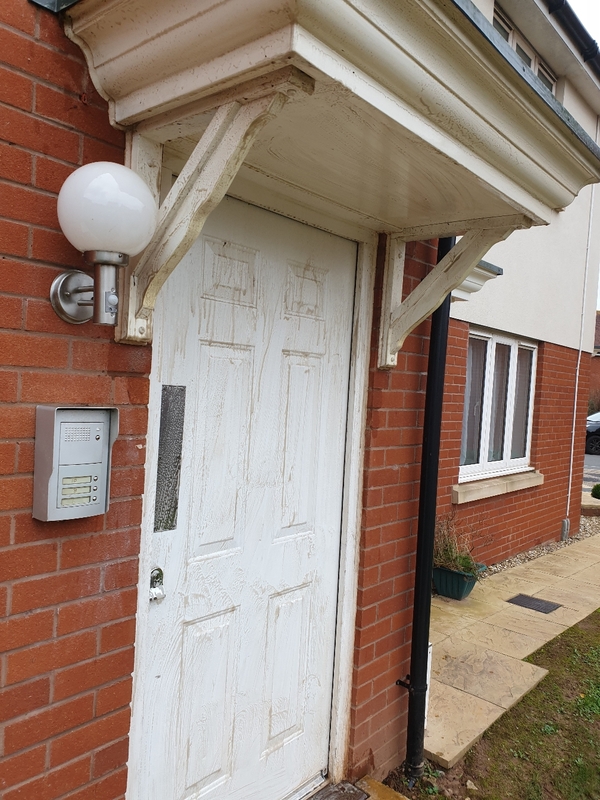 We have been approved and vetted and commit to adhering to strict policies such as no door to door sales. 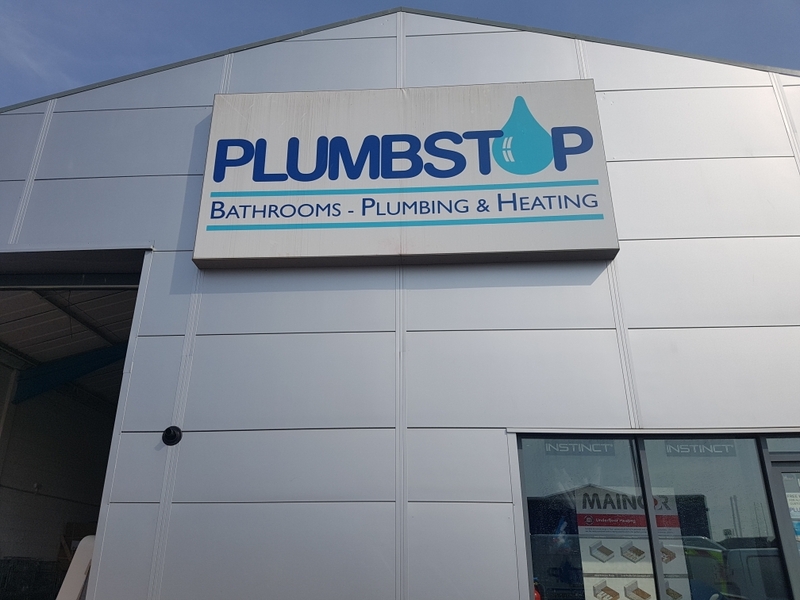 Click above to visit their website to find out more and our listing with 40+ reviews!